Denise Lewis is a real estate attorney who concentrates her practice in representing national and regional developers in complex transactions that include public/private partnerships, urban redevelopment, and mixed-use development. 2013 – "Denise Lewis is a key player at the firm. She represents developers in a broad range of projects and has additional experience in the realm of real estate finance." 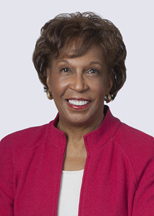 2012 – "The 'accomplished and knowledgeable' Denise Lewis is known for representing significant corporations, national developers, municipalities and school districts in real estate matters. She is particularly experienced in investment incentives, loan transactions and workouts."